In a bowl, mix plain flour, cornflour, chilli powder, red colour, salt and little water to a thick batter. 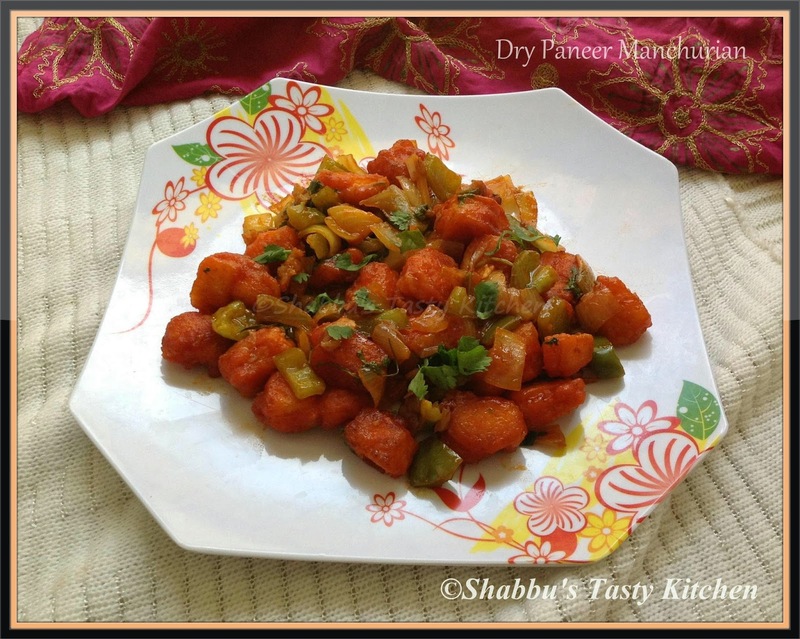 Add paneer cubes and marinate it for 10 minutes and fry it in the hot oil till golden brown. Keep it aside. Heat little oil in a pan, add ginger-garlic paste and cubed onions and saute until slightly browned. Add soy sauce, chilli sauce, tomato sauce and little salt and mix well in low flame. A very flavourful manchurian...looks superb! !